Excitement is building for three days of Elemental Ecocriticism at the U of Alabama in Tuscaloosa later this week. I’m very excited to be on the program with Cary Wolfe, Lowell Duckert, Karl Steel, Valerie Allen, Jeffrey Cohen, Julian Yates, Sharon O’Dair, Anne Harris, and Chris Barrett. The story goes that our elemental topics were picked out of a burrito bowl by Jane Bennett in Boston last September, though I was not a witness to that event. I was given fire and air, which have taken me, of course, to…phlogiston. Here are a couple paragraphs out of the early part of the talk. Any actual combustion will be kept carefully governed. We all want ignition. Sparks that lead to fire, blazes that spring up, alive and crackling, giving life to dead things. From the nuclear cauldron inside the sun to the sub-cellular energy generators within mitochondria, organic and inorganic systems need energy produced through rapid combinations of fire and air. After Antoine Lavoisier, the so-called “father of chemistry,” discovered and named the elements oxygen and hydrogen in the late 18th century, enlightenment science came to recognize burning as rapid oxygenation, but for premodern thinkers the causes of ignition were mysterious. 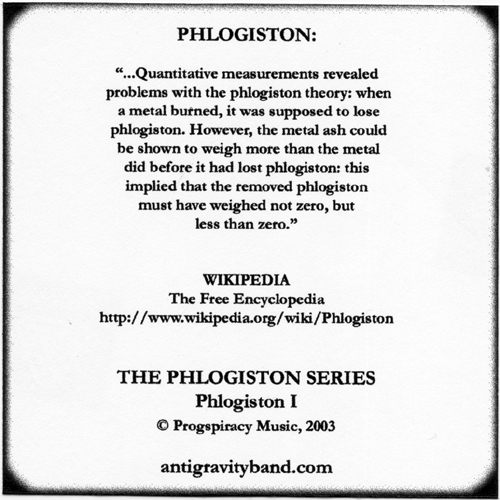 The question of why and when some things burned and others did not led, in the seventeenth and early eighteenth centuries, to the temporary innovation of “phlogiston,” an invisible but material “principle of inflammability.” It’s famous today, if at all, as a laughable scientific error, though a few bloggers and policy intellectuals including Paul Krugman and Matt Yglesias have recently employed the term “phlogiston economics,” by which they want us to understand ways to describe fiscal policy that are not just wrong but intricate and silly. In his book The Psychoanlysis of Fire, which I’ll refer to fairly often in this talk, the French philosopher Gaston Bachelard subtitles his chapter on phlogiston “History of a False Problem.” It’s not real stuff, but phlogiston traces conceptual paths about the processes of ignition and burning that remain valuable after the supposed displacement of error by accuracy. By isolating and consolidating the explosive mixing of fire and air, phlogiston burns with poetic ecological meaning. The concept of phlogiston emerged in the late seventeenth century in the work of the German alchemist Johann Becher. Becher’s model, interestingly for our purposes this weekend, restructured the four classical elements by removing fire and air from the group, and replacing their chemical functions with three different kinds of earth. The oily and sulphurous earth, which Becher called terra pinguis, eventually morphed into phlogiston, with that catchy Greek=derived word arriving by way of German chemist Georg Ernst Stahl in 1718. But the poster-boy for phlogiston was the eighteenth-century Enlightenment scientist Joseph Priestley [Slide], who clung to the theory even as nearly every respectable chemist had come to follow Levoisier’s new system. In an open letter of 1796 published in Philadelphia, Priestley outlined a “short defense of the concept of phlogiston.” In places Priestley’s rhetoric may sound familiar to an academic audience, as when he writes, “I cannot help thinking that what I have observed in several of my publications has not been duly attended to, or well understood” (3). But Priestley’s attachment to phlogiston as concept and also as the material basis of all inflammable compounds arises from his basic commitment to symmetry as well as experiment. “In all other cases of the calcination of metals in air, which I have called the phlogistication of the air,” he writes, “it is not only evident that [the metals] gain something, which adds to their weight, but that they likewise part with something” (4). That something-lost, for Priestley, is phlogiston – and for my purposes, phlogiston represents a double loss: it is something consumed in the process of burning, and, if we accept modern chemical theory, it is a substance that itself has vanished entirely from our intellectual history. Taking Priestley’s essay as a touch-stone, my talk today traces the imaginative benefits of this non-existent substance. 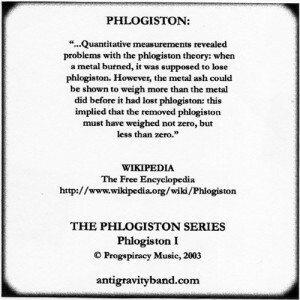 Phlogiston shows why things catch fire and why conflagration makes us feel certain ways. It speaks to human needs, if not chemical processes. Multiple Bachelards bouncing around ‘Bama! Looking forward to it, Anne!